Our faculty come from diverse backgrounds and will provide you with careful advising to assist your career choices in law, government, nonprofit and the private sector. Dr. Dondelinger received his Ph.D. from Pennsylvania State University and teaches the department’s courses in Comparative Politics and International Relations. He brings an unusual combination of background and skills to the department. He was born in Luxembourg and before becoming a U.S. citizen, he twice served as a member of the Luxembourg Mission to the United Nations. In addition to his native tongue, Luxembourgish, he has a multilingual background. Besides teaching at Augustana, from 1984 to 2012, Dr. Dondelinger regularly offered courses for senior U.S. government executives at the prestigious Federal Executive Institute in Charlottesville, Va., first on Soviet and Russian politics and, starting in the late 1990s, on racial, ethnic, religious, cultural and nationalist conflicts. Dr. Dondelinger is the campus representative for the Truman Scholarship. His advising interests focus on careers in the foreign service and in international affairs. Dr. Golemboski teaches courses in law, including constitutional law, criminal law, and law and religion. He is also the campus prelaw advisor. 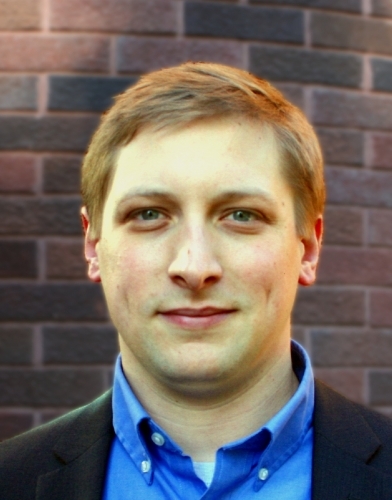 His research interests focus on the intersection of legal theory and political philosophy, and his articles have appeared in journals such as Law & Philosophy, Publius: The Journal of Federalism, and the European Journal of Political Theory. His current research project concerns the philosophical foundations of legal accommodations for religious exercise. Dr. Golemboski holds a B.A. from the University of Louisville, an M.T.S. from Harvard Divinity School, and a Ph.D. from Georgetown University. He was previously a Postdoctoral Fellow at the Kinder Institute on Constitutional Democracy at the University of Missouri. Dr. Johnson received his Ph.D. from Harvard University, where he also served as a lecturer on government. He teaches courses in Political Philosophy, Politics and Literature, and Asian Politics. The primary focus of his research is eighteenth- and nineteenth-century American political thought. He is the author of Beyond Practical Virtue: A Defense of Liberal Democracy through Literature (University of Missouri Press, 2007), as well as many articles and book chapters. These include “A Novel Twist to Tocqueville: Competing Visions of Democracy in Parrot and Olivier in America” (The Review of Politics, Spring 2017); “Mosses, Manses, and Mores: Hawthorne on the Construction and Preservation of Political Institutions” (American Political Thought (Spring 2016); “A Connecticut Yankee in Saddam’s Court: Mark Twain on Benevolent Imperialism (Perspectives on Politics, March 2007); and Disposed to Seek Their True Interests: Representation and Responsibility in Anti-Federalist Thought ( The Review of Politics , Fall 2004). Dr. Johnson serves as advisor to the department’s honors program and to the Committee of Undergraduate Political Scientists (C.O.U.P.S.). Emily Wanless is an associate professor in the Government and International Affairs Department. She received her PhD in political science from the University of Georgia, with an emphasis in American Government. Her research interests focus on the political ambition of elected officials, political institutions, and state politics. She is the author of book chapters on the 2014 South Dakota Senate Election, Bill Janklow’s 1994 gubernatorial bid, and numerous journal articles on the progressive ambition of state legislators. In 2017, Dr. Wanless chaired the South Dakota Interim Task Force on Initiatives and Referendums. She serves as the Government Department’s internship coordinator and the University’s representative for the Lutheran College Washington Semester. Dr. Schotten received his Ph.D. from Claremont Graduate School. For more than four decades he taught courses at Augustana in constitutional law and political philosophy. He also co-authored the nation’s leading introduction to politics textbook and was the co-author of Religion, Politics and the Law. His latest research includes a chapter on Justice Joseph Story in Frost & Sikkenga’s History of American Political Thought and an article on Marbury v. Madison (published in Perspectives in Political Science). Dr. Schotten is currently conducting research on constitutional interpretation.